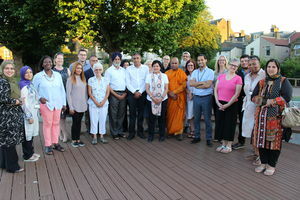 Our project seeks to replicate two inter-faith works that take place in Newham into Waltham Forest. 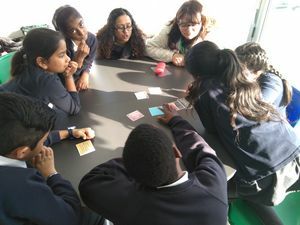 The first project is to run four one-day conferences for year 5's from 24 different Waltham Forest Primary schools around the theme of becoming a peace-maker. 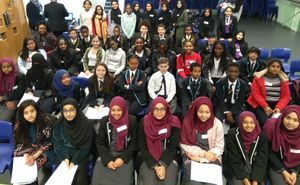 The second project is to set up a Student SACRE (as Newham has running) with year 8-10 pupils from different Waltham Forest schools. The final part of the project is to undertake joint training as adult SACRE's in order to share some of Newham's practice, as well as to learn from one another. This particular plan came about whilst Newham Student SACRE was doing a project around bullying and belief and worked with a local Humanist who was part of Waltham Forest SACRE. It was suggested that we might contact the RE Consultant in Waltham Forest who had been hoping to start a Student SACRE started over the last 12 months. The RE advisors and consultants, Darra and Claire, met throughout 2018 and this project came about. Progress so far (Sept 2018) is that Darra and Claire have been meeting to co-ordinate the start of the project, and to set deadlines and action points. So far the joint adult SACRE training has been planned ... and there is a lot to do once the new academic year starts! Our hopes for this project are to replicate good practice we have running in Newham between SACRE and schools into another Borough. We think our aims are achievable and that there will be benefits to both SACREs. For more information please click here to email Claire.